The Gwinnett Chamber, one of the largest suburban Chambers of Commerce in the nation and the voice for businesses, today announced Dr. Daniel J. Kaufman’s retirement from the role of President & CEO, effective June 30. • A significant expansion of the Gwinnett Chamber’s engagement with its regional partnerships including the Atlanta Regional Commission, the Metro Atlanta Chamber of Commerce, the Georgia Chamber of Commerce, Explore Gwinnett, the Council for Quality Growth, the Regional Business Coalition, and the Georgia Department of Economic Development. • Gwinnett Young Professionals, a re-invigorated leadership program for young executives who are just beginning their careers. This initiative includes the GYP Leadership Institute, a six-month course in theories of leadership taught twice yearly to 25-30 selectees by a leadership professor from Georgia Gwinnett College. • The introduction of Gwinnett Chamber’s Small Business Resources initiative, an array of resources, activities, and programs designed specifically to assist entrepreneurs and small businesses. • Continued outreach to under-served segments of the business community through such programs as the Gwinnett Leadership Organization for Women, an initiative created to provide a forum offering quality professional development programs, networking opportunities and philanthropic projects that enhance and engage women leaders in Gwinnett County and across metro Atlanta. In addition, the Gwinnett Chamber established an ongoing relationship with the Georgia Hispanic Chamber of Commerce, partnering with this organization to offer several collaborative programs and joint membership benefits. • The continued implementation of Partnership Gwinnett, a public-private community and economic development initiative of the Gwinnett Chamber. Partnership Gwinnett has worked with its local partners to attract and retain jobs, cultivate capital investment, support educational institutions, foster workforce development, and contribute to the exceptional quality of life found in Gwinnett and the Atlanta region. • A successful capital campaign to improve the Gwinnett Chamber’s facilities—raising more than $800,000 in its first 18 months toward a $2 million, five-year goal. • A strategic partnership with Norsan Group to establish Frankie’s the Steakhouse, an immensely popular, high-end steak and seafood restaurant located in the 1818 Club on the third floor of the Gwinnett Chamber building. • Continued support for vital community development initiatives including the successful eSPLOST referendum to fund Gwinnett County Public Schools in 2016 and the successful general obligational bond referendum to fund two new high schools in the county and technology upgrades in every school. • In March 2019 there will be an historic vote in Gwinnett to determine whether the county will become part of the Atlanta region’s transit system. 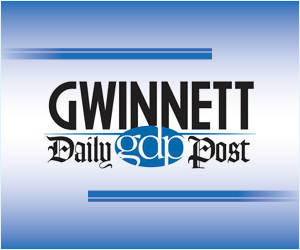 The Gwinnett Chamber will be heavily engaged in building voter support for the measure. Prior to assuming his duties at the Chamber, Dr. Kaufman was the founding president of Georgia Gwinnett College (GGC). The college admitted its first class of 118 students in August 2006 and its first freshman class in August 2007. Dr. Kaufman served as president until 2013. At the time of his departure, GGC had nearly 10,000 students pursuing 40 fields of study. Dr. Kaufman is now President Emeritus of Georgia Gwinnett College. Before serving as president of Georgia Gwinnett College, Dr. Kaufman was a brigadier general in the U.S. Army, serving as Dean of the Academic Board and Chief Academic Officer at the United States Military Academy at West Point, a position from which he retired in June 2005. Dr. Kaufman graduated from the United States Military Academy at West Point in 1968 and holds a Master of Public Administration from the John F. Kennedy School of Government, Harvard University and a Doctorate in Philosophy from the Massachusetts Institute of Technology. Dr. Kaufman’s military service includes tours with cavalry and armor units in the United States and Vietnam, where he received the Bronze Star for heroism and two Purple Hearts for wounds sustained during combat. He also has served as a member of the National Security Council staff in the White House and in the Office of the Secretary of Defense. He served as a Special Assistant to three Chiefs of Staff of the Army. Brigadier General Kaufman also was engaged extensively in the development of the National Military Academy of Afghanistan, which opened in Kabul in April 2005. Upon his retirement from active duty, General Kaufman was honored by the British government as an Officer of the Most Excellent Order of the British Empire (O.B.E.). Over the next few months, Dr. Kaufman will be working with the search committee, comprised of select board members, on a smooth leadership transition. More information on the position may be found at https://www.gwinnettchamber.org/president-ceo-search.